RWS & Associates - Is a full service licensed provider of Health Care Medical and Sharps Needle waste disposal. Services include the packaging, handling, processing, treatment of clinical Biohazard, Medical & Sharps Waste. Our clients include hospitals, clinics, many other health care providers and third party transporters. We are strategically located to service the Health-Care disposal needs of Maryland, West Virginia, Ohio, Pennsylvania, Virginia, Delaware, New Jersey, North Carolina & Washington D.C. In addition to processing RMW, other services include consulting for a variety of health care professionals, waste reduction programs and waste handling supplies, such as sharps containers, pharma bins, red biohazard bags, biohazard stickers and more. RWS is the only partner you need for biohazard waste, sharps and medical waste disposal. Our large clientele base in the collection, transportation, treatment and disposal of medical and biohazard waste. Medical waste also known as clinical waste or red bag waste include pathological, chemotherapy, sharps, biological specimens, culture stocks, blood related-stained waste, solid gowns, masks, tubing and more. 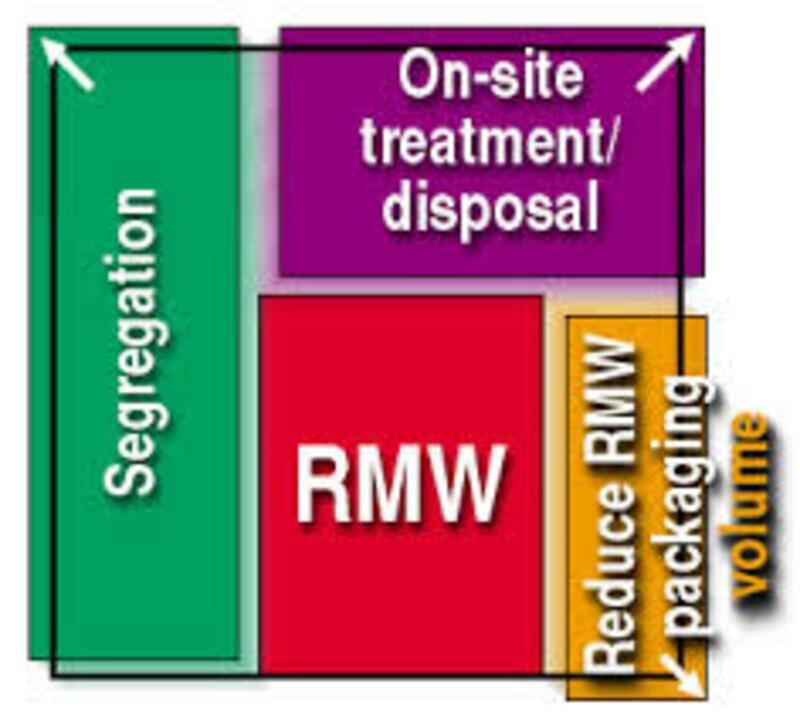 RWS will provide all necessary containers and supplies, for a compliant medical waste cradle to grave disposal service. We help your office ensure maximum compliance with infection control throughout the entire process. Our route technicians are trained to carry out their responsibilities discreetly, without interrupting your day to day operations. Our regulated medical waste disposal services are offered throughout Maryland, Washington DC, Virginia and North Carolina, service schedules are flexible. We also provide staff OSHA training and education to help you protect your customers, staff, the environment and reduce over-all risk associated with biohazard waste management. Small Medical & Dental Offices, also generate pharmaceutical waste, especially expired pharmaceutical samples, yet often are uncertain about how to safely dispose of them. Regulated Waste Service can help you manage this with a regulatory compliant solution for hazardous and non-hazardous drug waste. For a compliant environmentally safe way for pharmaceutical waste disposal, including expired sample drugs, our Pharmaceutical Waste Compliance service offers non-hazardous pharmaceutical disposal services combined with our industry-leading OSHA compliance and biomedical waste service. Save money Today on Maryland sharps needle and biohazard waste disposal.